Leadership Camp is an action-packed, one-week overnight summer camp for entering 6th – 8th grade boys. Drawing upon over 30 years of experience, the camp aims to help boys develop the skills and virtues necessary to be leaders. Each boy is placed on a team with 9 – 10 other campers with whom he shares a cabin or tent, attends activities, and competes for prizes. Every morning campers attend a talk on a specific virtue, as well as classes on topics such as journalism, biology, engineering, and self-defense. In the afternoons, boys compete in football, baseball, basketball, soccer, and dodgeball, followed by a refreshing swim. Other activities such as canoeing, archery, and mini-Olympics are offered on different days. In the evenings, there are night-games such as Fox Hunt and Capture the Flag, not to mention a Treasure Hunt and Talent Show. Spiritual activities, such as daily Holy Mass, the Rosary, and confession, are offered. Throughout the week, the counselors of each team help the boys to apply principles of leadership and lessons from the virtue talks to concrete situations during the camp. Most importantly, the staff speak individually with each camper to help him grow in self-knowledge and to formulate resolutions for growing in character after the camp. 2018: Artifacts & Inventions, Backyard Ballistics, Computer Programming, Life Science, Self-Defense. 2017: Computer Programming, Energy & Rocketry, Engineering Concepts & Design, Journalism & Photography, Life Science, Self-Defense. 2016: History of Battle of Kahlenberg (Holy Roman Empire vs. Ottoman Empire), Journalism (Cary Chronicle), Public Speaking, and Basic Engineering Design. 2015: History of the Persian Wars (Greece vs. Persia), Journalism (Cary Chronicle), Public Speaking, and Basic Engineering Design. 2014: History of the Second Punic War (Rome vs. Carthage), Journalism (Cary Chronicle), Public Speaking, and Basic Engineering Design. 2013: History of the Peloponnesian War (Athens vs. Sparta), Journalism (Cary Chronicle), Public Speaking, and Robotics. 2012: History of the American Revolutionary War, Journalism (Cary Chronicle), and Public Speaking. Leadership Camp this year will run from June 9 – 15, 2019. Campers should arrive at the camp on Sunday, June 9 between 3:30 – 5:00 pm (EDT). They should depart from the camp on Saturday, June 15 between 11:00 am – 12:00 pm (EDT). The camp staff has been carefully selected and trained to be outstanding leaders and role models. They share the ideals of Leadership Camp and are dedicated to the personal growth of each camper. 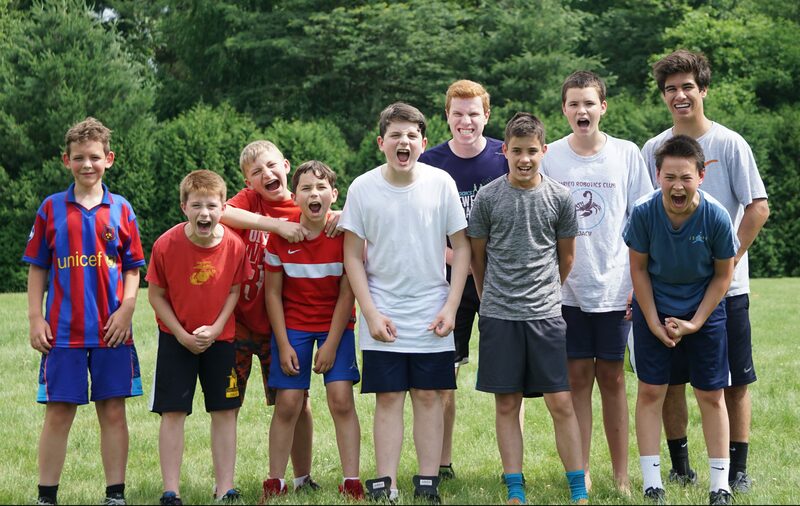 The Camp is directed by Sauganash staff assisted by a few fathers of campers as well as college and high school students who attend activities at Sauganash and other centers similar to Sauganash and who are chosen for their maturity and experience. The camper-staff ratio is 4 to 1. For additional information about applying to be a camp counselor, click here. The cost of the camp is $495. A deposit of $100 is due at the time of registration. This deposit will apply toward the cost of the camp. All payments can be made to Youth Service International, the sponsor of the camp. Click here for payment information. Full payment is due by May 25, 2019. Please register online at the link below. Registrations will not be considered complete until the following items are received. Signed medical release form mailed to the address below. Click here to download the form. Leadership Camp is sponsored by Youth Service International (ysi.org) and directed by Sauganash staff. YSI organizes and directs activities for students from around the country.